David represents clients in a variety of litigation matters. *Admitted only in Virginia. Not admitted to D.C. but being supervised by a licensed D.C. Bar member. Before joining Fox Rothschild, David worked at the firm as a summer associate. He also worked as a legal intern at the Transportation Security Administration, Office of the Chief Counsel, in Arlington, Virginia and a law clerk at the American Association of Retired Persons, Legal Counsel for the Elderly, in Washington, DC. In law school, David was a member of the Public Contracts Law Journal and a case screener for the Mid-Atlantic Innocence Project. 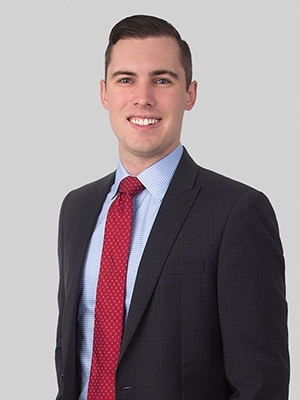 Before law school, David worked as a communications and social media consultant at a security consulting firm and a marketing assistant at a law firm. David is an accomplished actor who has appeared in a number of short films and plays.